For the THIRD Powwow South West we headed back to central Bristol, where a room full of paraplanners from the South West kicked off the chat for 2018. Here’s a round-up of the top points raised on the day. Should we use a growth rate appropriate to the portfolio being recommended or a standard one? The Report Writing discussions at the Powwow proved very interesting, not least because of the transformation in how paraplanners are now structuring reports. At the first Powwows the concept of putting as much of the technical detail in appendices as possible was quite new. Now it seems that most companies represented at the Powwow SW are doing this or are reviewing their report templates with a view to doing this. The idea of the separating the report into three distinct areas seemed to be quite widespread; a summary / covering letter / engagement document, the main body of the report and then the appendices. This somewhat reflects the 3 levels of report written by large companies; for senior management (short and punchy), for the majority of the distribution (moderate detail and length), for a small number of highly technical readers (full detail). There was a lot of discussion about writing style and the things learned from presentations from Sue Calthorpe (IFP Paraplanner Conference 2016) and Quietroom (Report Writing Howwow, London July 2017 and Online Howwow, March 2018). Tone of voice documents, using first / second person or third person, using the Flesch-Kincaid score to judge your writing and subsequently improve it. This system can also be used to get advisers to improve the quality of their meeting notes by making it a small competition between them as to who can get the best score. The consensus was that as well as making reports more client friendly by moving technical elements to appendices, there was lots of work that could be done with language or more visual representation to help client understanding. There seemed to be a great deal of variation across the board in terms of how much time went into the review process across firms, who was involved at firm level and what the client received. Generally larger firms tended to have a more rigid and defined process for reviews and more distinct roles for the paraplanner and admin teams. In one example a larger advice firm has a review process in place rating how particular products are meeting objectives using a traffic light system following every meeting (green = good, amber = moderate, red = poor). Some firms didn’t do a great amount of preparation before the meeting and more following based upon the clients requirements whereas others put a lot of time beforehand (getting clients to update factfinds/cash balances etc) and then much less time afterwards. A number of firms are really pushing ahead in terms of using technology to assist with the review process, using client relationship systems to invite clients to update their details electronically prior to a meeting etc and having automated valuation feeds for as many products as possible. This tended to be led by the paraplanning team. Meeting notes are something that most firms tended to write up but even amongst the same firms there was a large range of standards for how detailed these notes are – some planners putting a great deal of time and effort in whilst others just made a couple of lines of notes. These aren’t always being provided to the clients and this led on to an interesting conversation with one group about whether it was a good idea sometimes to write up a client facing set of meeting notes as well as an internal set – to avoid repeating much of what client’s are patently aware of back to them and cover sensitive areas. 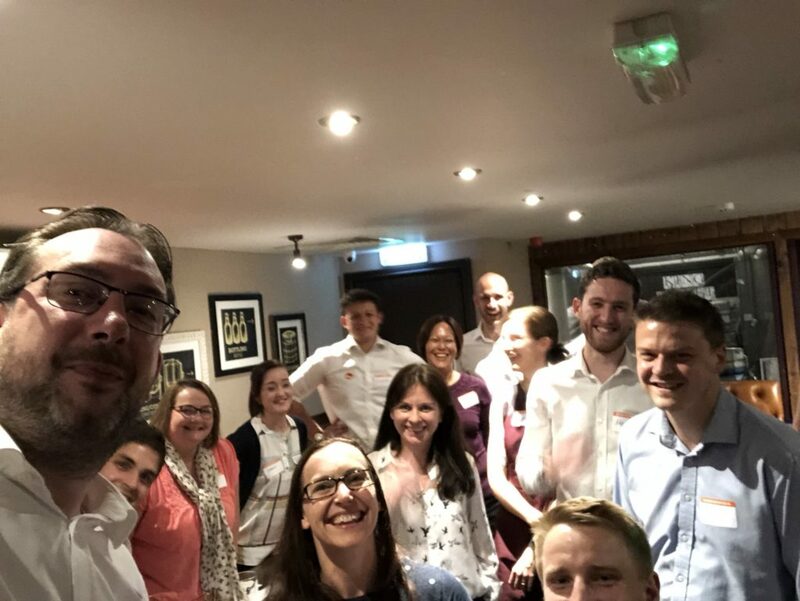 We also talked about the review process in the context of vulnerable clients and specifically some types of atypical vulnerable client – such as a young lottery winner with a lot of friends coming out the woodwork and asking for favours! At Aspire, paraplanners and admin staff will attend meetings where possible, particularly as most clients come into the office. We find this gives the planner more time to focus on engaging with client as they don’t need to be taking notes and it also gives the paraplanner the opportunity to raise any specific queries they have in the meeting which saves time afterward. This didn’t seem to be at all common across other firms and we discussed the reasons for this, which included cost, time constraints and the fact that many planners still tend to visit clients in their home/office. Finally there were some attendees who weren’t involved in the review process as outsourced report writers. We discussed the benefits to them of a firm having a good review process and providing them with detailed notes from the last meeting with the client. After chatting through the above in groups, all the Powwowers came together to plough through questions on other key subjects together. Insistent clients – Many firms refuse to deal with them, some have a two stage process, some PI insurers are now refusing to insure. Want to talk more on these topics? Then carry on the conversation in the Big Tent, our online forum for paraplanners.